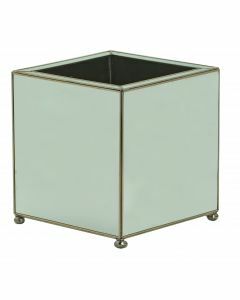 This rustic wastebasket features antiqued mirrors. The wastebasket measures 7"W X 7"D X 12.75"H. The optional tissue box measures 5"W X 5"D X 5.75"H and can be chosen from the drop down menu. Click on image for greater detail.